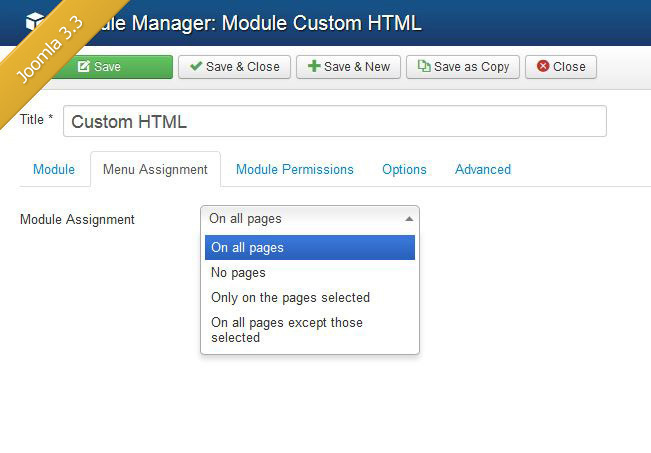 Assigning modules to specific pages or all pages is a great way to control where the module will appear at your Joomla site. For example a number of the templates we have created at the website make use of custom HTML module positions for the built-in slideshow. After you have created a custom HTML module for each slide you want to publish to the slideshow to can assign the slides included in the slideshow to all pages at the website or you can assign the slides to specific pages. The above approach is an example of how you can assign the slides includes in the slideshow to all pages or specific pages. 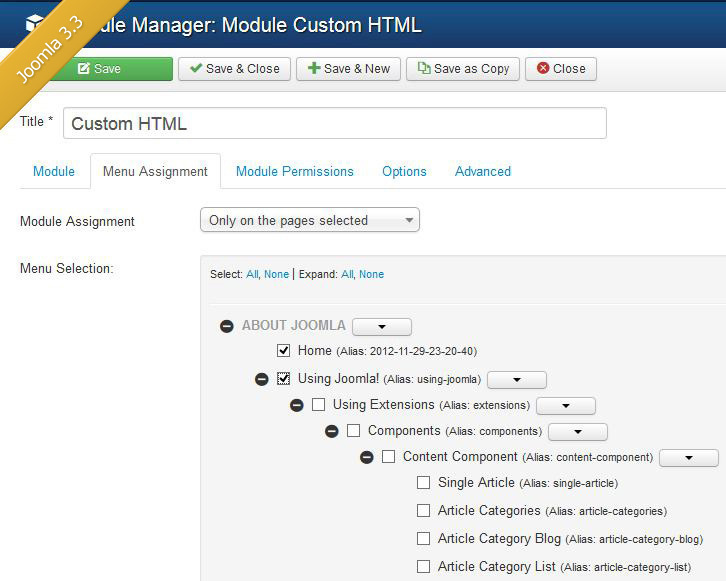 The above tutorial is not just for the slideshow or custom HTML modules it can be used for any modules you create at your website.